This undated handout from the U.S. Marshals Service shows Deputy U.S. Marshal John Perry, who died Tuesday, March 8, 2011, from gunshot wounds received while serving an arrest warrant on a residence in St. Louis, Mo. 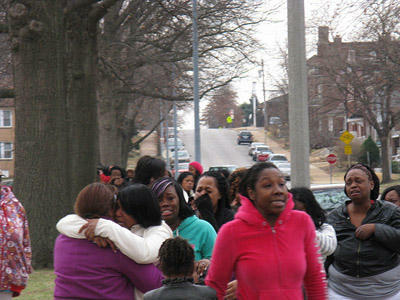 The visibly upset crowd outside the scene of today's standoff at 3117 Osage St. in St. Louis, Mo. 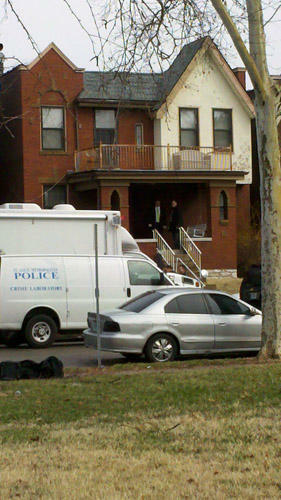 The location of the standoff, at 3117 Osage St. in Louis. 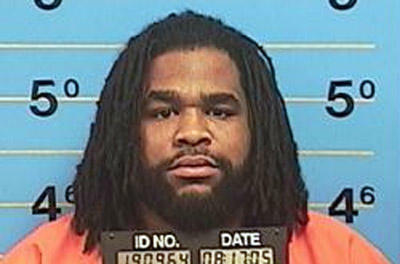 Carlos Boles, 35, is the alleged gunman that shot two U.S. Marshall's and a St. Louis police officer while they were serving an arrest warrant in St. Louis on March 8, 2011. Will be updated as more information becomes available. "A funeral service for Deputy U.S. Marshal John Perry will be held Sunday, March 13, 2011, from 10 a.m. to 11:30 a.m., at the Powell Symphony Hall, 718 North Grand Boulevard, St. Louis, Mo. U.S. Marshals Service Director Stacia A. Hylton will attend." - Deputy U.S. 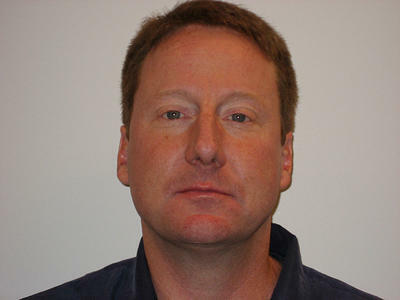 Marshal John Perry, 48, died at St. Louis University Hospital around 7 p.m. Tuesday from a gunshot wound to the head. Perry had been with the Marshals for 10 years. - The name of the second injured Marshal has also been released. Deputy U.S. Marshal Theodore Abegg, 31, has been with the marshals for three years. He suffered a gunshot wound to the ankle. Click "Read More" for additional information. "Our deputies and law enforcement partners face danger every day in the pursuit of justice for the citizens of this great nation. Our people and our partners are well trained and prepared, but it is impossible to predict when a wanted individual will make a fateful choice that results in the loss of life or injury. When that happens, and the life lost is a law enforcement officer or other public servant, it is an immeasurable tragedy felt by all. Today, unfortunately, we again feel that pain. Our thoughts and prayers are with our fallen deputy as well as the injured and their families." - One victim, a federal marshal, remains in critical condition. - The suspect opened fire on officers when they arrived to arrest him shortly before 7AM. - One deputy U.S. Marshal was shot in the head, the other in the ankle. A city police officer was hit in his protective vest and also received a grazing wound to the face. (As of 4:20 p.m. St. Louis Police have now said that the officer has been treated and released). -St. Louis Mayor Francis Slay said the incident is a sad reminder of the dangers faced by officers every day. - Authorities returned fire and killed the shooter. - A U.S. marshal is in critical condition after he was shot in the head during a gunfight in St. Louis. - The U.S. marshal for eastern Missouri, William Sibert, says a second marshal was shot in the ankle and is undergoing surgery. -A St. Louis police officer who was working with the marshals was wounded by a bullet that grazed his face. - Sibert says the marshals and police were trying to take a suspect into custody in a house on the city's south side Tuesday morning when that man fired, prompting authorities to return fire. Officials have not said what the suspect was wanted for. - St. Louis Police Chief Dan Isom says the police officer is expected to recover and be released from the hospital Tuesday. - Three members of law enforcement have been shot during the standoff - two were U.S. Marshals and the other was a St. Louis Police Department officer working with the Marshals. - The St. Louis Police Department officer was shot in the vest, but also suffered a fall during the incident and has a graze wound. He has been taken to Barnes Jewish Hospital. - One of the injured U.S. Marshals is listed in critical condition. He had previously been declared dead by a release sent out by the U.S. Marshals, but that information has since been corrected. Location of the standoff incident, 3117 Osage St. in St. Louis, Mo.